In 2018, UESP looked for questions to ask Pete Hines in relation to Legends, a free-to-play card strategy spin-off. The interview took place on 13 February 2018, and Pete's responses can be read below. Pete regularly streams Legends gameplay on Bethesda's official Twitch channel. You can download Legends here; it is also available on Steam, Android, and iOS. We always want to know what the card is before we make art. Otherwise you get stuff that is "close" or "kinda what we need" instead of a good fit for what the card is about. So the card design drives the art. Dire Wolf Digital uses a template for their art descriptions very similar to the one I developed for Magic: The Gathering back in 2001/2: location, action, focus, mood, and notes (if any). I then take that art description and revise it, if necessary, for illustrators who may not be familiar with terms or lore from The Elder Scrolls, and for whom English may not be their first language. Then I pull reference from the games as necessary. Sometimes that reference material will span several pages. Giving illustrators a sense of the Brass Fortress and the space underneath it, for example, required overhead views, first-person views, closeups, maps, etc. – about 12 pages in all. It depends. Set and card designers tend to have an overall idea of what the cards in a set or story are going to be about. Are they going to introduce a new mechanic, are they looking to add cards that bolster certain themes or decks (e.g., we want to make a Colorless deck more viable), and so on. 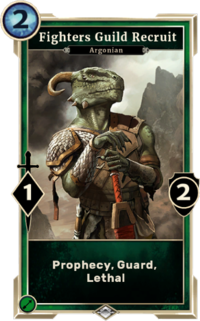 But then there will also be certain cards that fit within the overall theme of the set, or a particular character they want to highlight from the part of The Elder Scrolls they're focusing on. That's a very specific designer question that I can't give a complete answer to. But from my conversations and involvement in the process, it's usually a mix. They spend a lot of time looking at the meta game and figuring out what decks could use some different pieces to make them more effective. They look at what the theme of the set is and whether or not it needs new mechanics, and if so which ones make the most sense. Sometimes they'll take something that a card (or cards) previously did and add more cards that do that and give it a mechanic (e.g., that's where Slay comes from, which was a thing some existing cards would do before we introduced Slay as a mechanic). Uh…that's a good one. I'm not sure. Yes. Or no. Maybe. Does that help? I recall bringing this up a LONG time ago. The short answer is: doubtful. I guess you never say never. But when it comes to players owning things and unlocking things I don't think you want players taking their game offline and doing things to their account offline and then coming back online. Allows for fraud, conflicts, and other issues we'd rather not introduce. The origin of the clockwork dragon is unknown. The fact that it's not in the Asylum Sanctorium suggests that the soul gem that powers it isn't that of a Dunmer "saint." No other connection to the Saints Olms, Felms, or Llothis constructs is known to exist other than some design elements shared across Sotha Sil's creations. 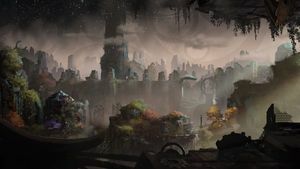 Given Sotha Sil's restless nature and the amount of time between the events of The Elder Scrolls Online and Tribunal (more than several centuries), it's likely that he created and maintained more than one Clockwork City "control center" over time. That said, the resemblance between The Dome of Sotha Sil and The Throne Aligned is strong enough that it's unlikely to be accidental. 18 years of The Elder Scrolls has taught me that anyone can be considered an unreliable narrator from a lore perspective. Much like the world today, who you chose to believe and how that stands up to something else or someone else's version is sometimes up to you. As far as whether we will learn more, we will have to wait and see. We will have to see about the soundtrack. It's not something we've had discussions about in a while. As far as the art book, I'll have to remember to bring it up again to our licensing director and see if he's up for doing one. 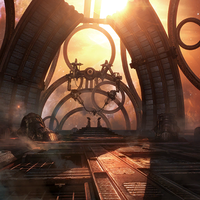 The idea to do the Clockwork City expansion for Legends was born out of the expansion being done by ESO. The designers talked to ZOS about the expansion and passed all sorts of story and design questions by them to make sure they were ok from a lore standpoint. Communication between studios typically boils down to those sorts of topics. Making sure we're being consistent from a lore standpoint. Or like when we wanted to come up with a special title for folks that helped out in the beta, I went to Kurt Kuhlmann, a Senior Designer for BGS and my go-to guy for lore questions. He was the one who came up with the idea of doing something around the Ehlnofey, and thus the Earth Bone title was born. We very much hope so. We're working on some improvements to the tech side to make those easier for folks to get. What's your favorite card? (Legoless) Interviewer's note: If I'm not mistaken, I remember you saying that your favorite card is Fighters Guild Recruit, and you've even got a statue of it--the only one in existence! Is it still your favorite card, or has a new card taken its place? I haven't asked him recently. He was playing a lot for a while. No, he has not beaten me yet. This page was last modified on 24 September 2018, at 22:19.